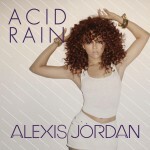 Alexis Jordan (born April 7, 1992) is an American singer and actress from Columbia, South Carolina. Jordan rose to fame as a contestant on the first season of America's Got Talent in 2006. After being eliminated from the show, she began to upload cover songs to YouTube, which received millions of views. 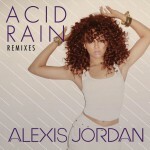 The exposure led Jordan to the attention of Norwegian production team Stargate and American rapper Jay-Z, who both went on to sign her to their joint label, StarRoc.